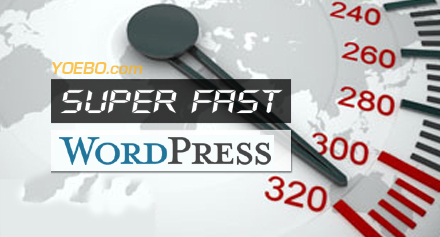 No one likes to hang around for a website to load which is why it’s very important for your WordPress blog to be fully optimized and running fast. Google loves a speedy blog and your visitors will be more than happy to return. A caching plugin will take a “snapshot” of your blog and serve this light version to your visitors instead of making loads of requests from the server. If you update something, the cache plugin will update the snapshot so everyone can see the fresh content without hogging the server with multiple requests. Always try to use the smallest format possible for the picture. If it’s basic colours go with GIF. For real life pictures you’ll probably need the quality of JPG. Play around with Photoshop, JPG, GIF and PNG formats to get the best balance between file size and quality. Or a free editing software like GIMP will do the trick. For your logo and other regular images you may find it more optimal using image sprites. An image sprite is a collection of images put into a single image. Websites with many images take a long time to load and generate multiple server requests. Using image sprites will reduce the number of server requests and save bandwidth. Once set with your images and pictures, you’ll want to optimize the actual file using WP Smush It. By removing the unnecessary data and colours that aren’t being used you’ll greatly reduce the file size. It’s no good having a great engine if the car body and wheels are falling apart. I recommend finding a host that offers the CPU, memory, and Apache-server power you deserve. Yoebo provides all of these features to many WordPress users for free.. Choose your theme wisely as some can be badly coded leading to security errors, memory leaks, and heavy malware that slows your blog to a standstill. If in doubt you can always create a child theme and modify the default template that comes with WordPress. Yoebo has worked with WordPress and design for over 8 years.. Your database holds all of the technical information your blog needs to run. It also contains a lot of junk (revisions, spam, old plugin data etc.). Over time this builds up and hogs your response time. Luckily there’s a plugin that can easily backup, clean, and optimize your database and MySQL. I don’t want to preach developing to you but always try to reduce your CSS code. If you have 3 div blocks all with the same inline code then you should put these styles into a single class. Having clean CSS will minimize page size and load times. Here’s a source for optimizing your style-sheets. Your blog may look cool to you but is it fast-fine and dandy in other browsers? Not all errors can be fixed but use a validation service to try and correct as many markup problems as possible. By using correct markup you’re putting less strain on a browser resulting in a faster page speed. I’m not saying “lose all plugins”, but if you have a list of disabled plugins these are still putting a load on your server. Time to disable and delete those not being used. Take a look below to see if any plugin is causing a hang-up (FaceBook & Twitter buttons are very slow). By using a compression plugin I’ve managed to save a whopping 74% in bandwidth. This saves me money and loads Yoebo faster for you. The below plugin compresses your site HTTP into a GZIP file which Google recommends for faster loading. This is an ongoing project post that will be updated regularly. So stay tuned and subscribe. If you would like a super fast WordPress blog incorporating all of the above please check out Yoebo’s design service. This entry was posted in Blog by Lou. Bookmark the permalink.